The gammapy.astro.population module provides a simple framework for population synthesis of gamma-ray sources, which is useful in the context of surveys and population studies. 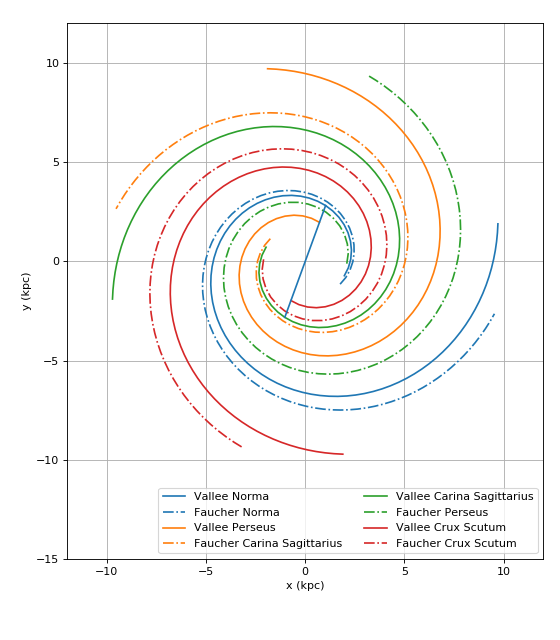 The following example illustrates how to simulate a basic catalog including a spiral arm model. The total number of sources is determined assuming a maximum age and a supernova rate. The table returned is an instance of Table which can be used for further processing. 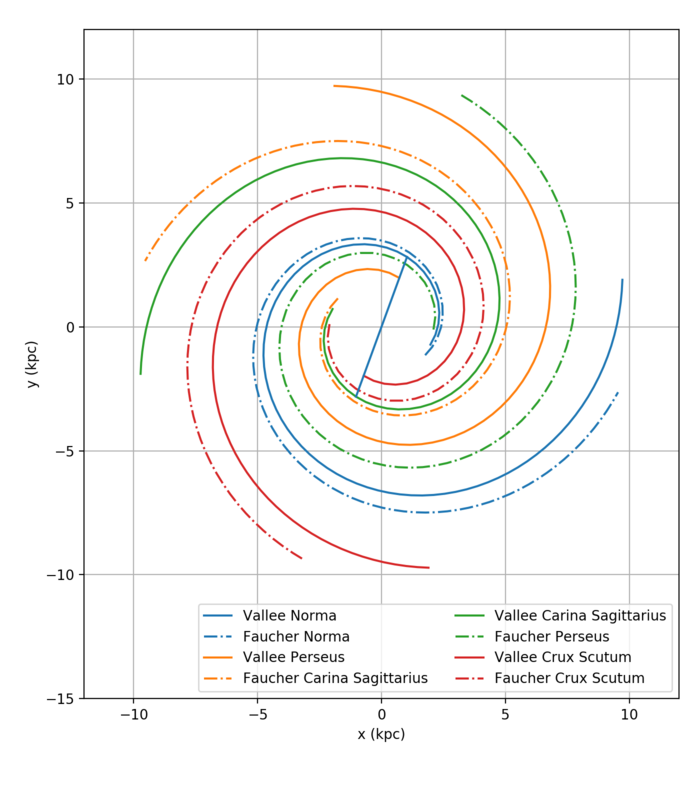 The example population with spiral-arms is illustrated in the following plot. TODO: add illustration of Galactocentric z-distribution model and combined (r, z) distribution for the Besancon model. add_observed_parameters(table[, obs_pos]) Add observable parameters (such as sky position or distance). add_observed_source_parameters(table) Add observed source parameters to the table. add_pulsar_parameters(table[, B_mean, …]) Add pulsar parameters to the table. add_pwn_parameters(table) Add PWN parameters to the table. add_snr_parameters(table) Add SNR parameters to the table. make_base_catalog_galactic(n_sources[, …]) Make a catalog of Galactic sources, with basic source parameters. make_catalog_random_positions_cube([size, …]) Make a catalog of sources randomly distributed on a line, square or cube. make_catalog_random_positions_sphere(size[, …]) Sample random source locations in a sphere. CaseBattacharya1998([amplitude, alpha, beta]) Radial distribution of the surface density of supernova remnants in the galaxy - Case & Battacharya 1998. 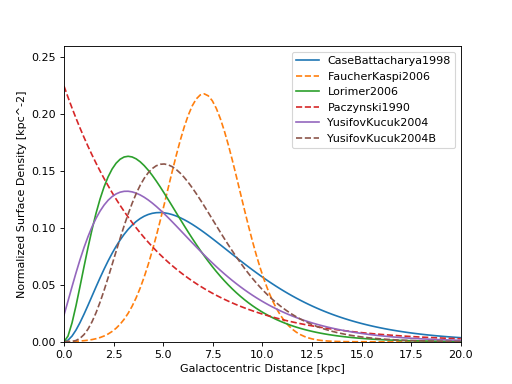 FaucherKaspi2006([amplitude, r_0, sigma]) Radial distribution of the birth surface density of pulsars in the galaxy - Faucher-Giguere & Kaspi 2006. 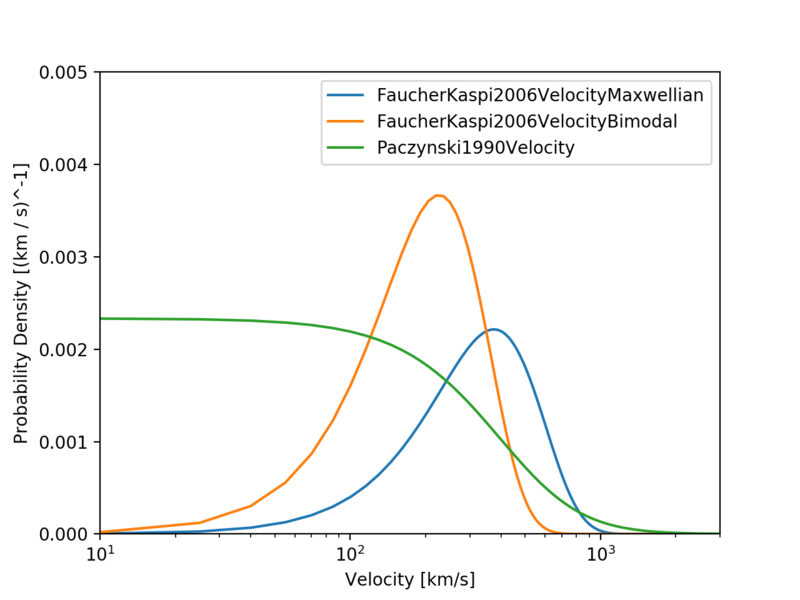 FaucherKaspi2006VelocityBimodal([amplitude, …]) Bimodal pulsar velocity distribution - Faucher & Kaspi (2006). 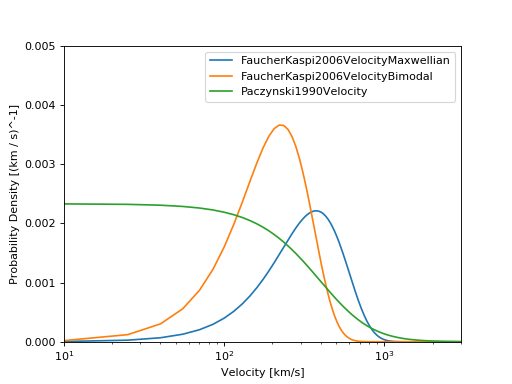 FaucherKaspi2006VelocityMaxwellian([…]) Maxwellian pulsar velocity distribution. 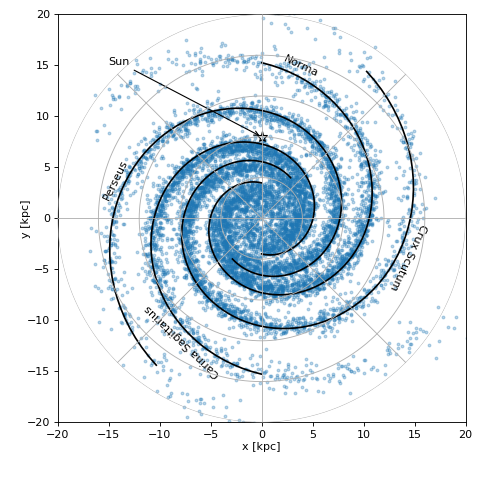 FaucherSpiral Milky way spiral arm used in Faucher et al (2006). Lorimer2006([amplitude, B, C]) Radial distribution of the surface density of pulsars in the galaxy - Lorimer 2006. Paczynski1990([amplitude, r_exp]) Radial distribution of the birth surface density of neutron stars - Paczynski 1990. Paczynski1990Velocity([amplitude, v_0]) Distribution by Lyne 1982 and adopted by Paczynski and Faucher. 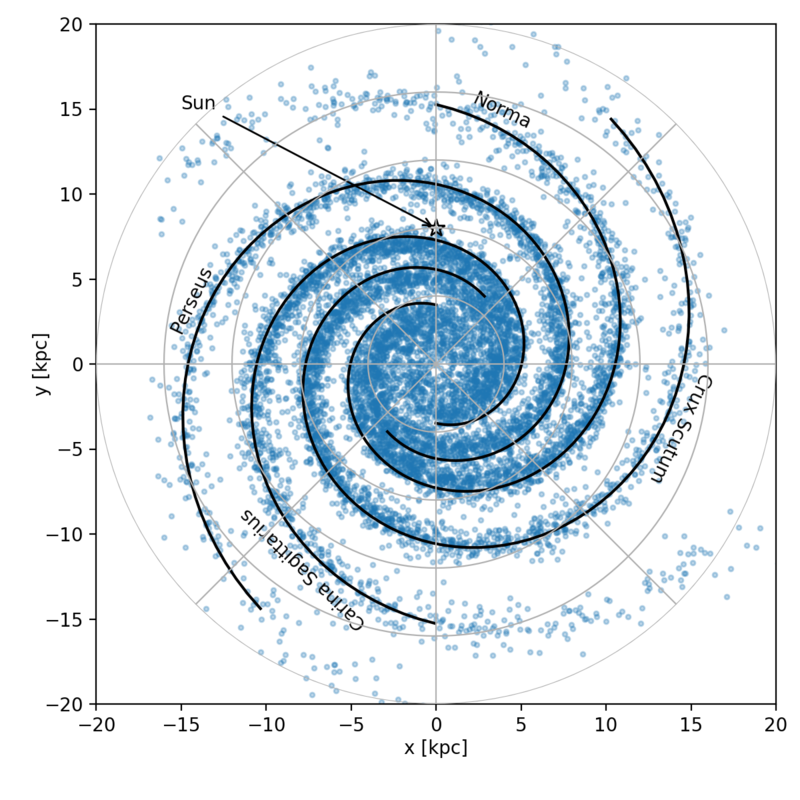 ValleeSpiral() Milky way spiral arm model from Vallee (2008). YusifovKucuk2004([amplitude, a, b, r_1]) Radial distribution of the surface density of pulsars in the galaxy - Yusifov & Kucuk 2004. 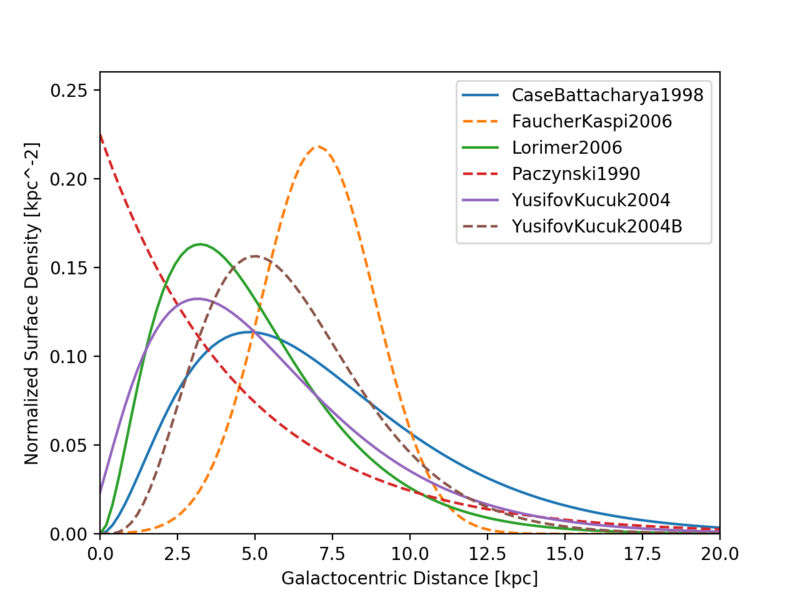 YusifovKucuk2004B([amplitude, a, b]) Radial distribution of the surface density of OB stars in the galaxy - Yusifov & Kucuk 2004.